The Calligraphy Series by metal sculptor, Casey Horn, embodies the transformation of language into contemporary sculpture and wall art. 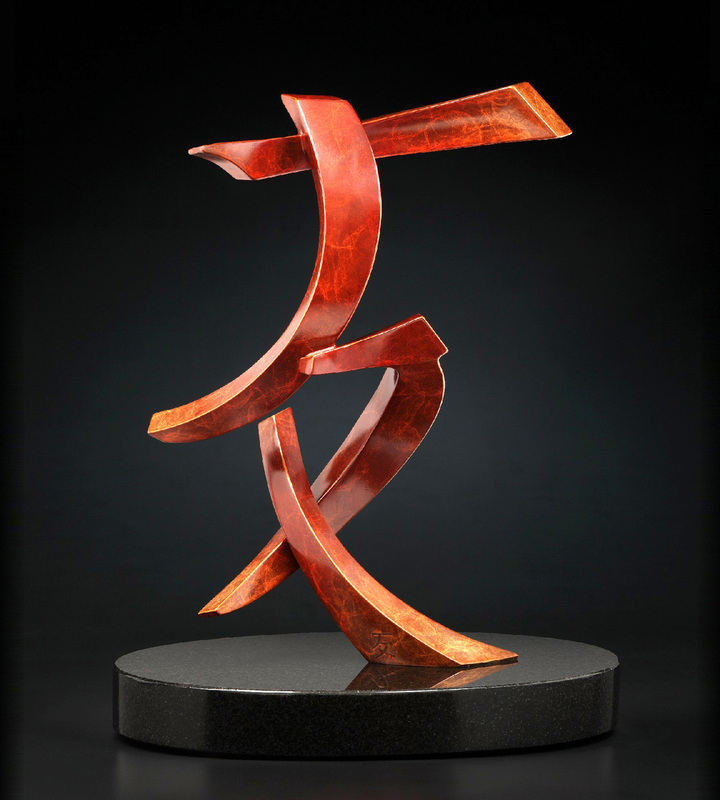 Inspired by the ancient art forms of calligraphy, these visually abstract sculptures communicate human emotion and insightful meaning. Small fabricated originals are molded and cast in bronze, stainless steel or aluminum through the lost wax process. Numbered, limited editions of Casey’s work offers a cost benefit and establishes investment value. Click on an image for additional information.